Cross Wind Farm is a family-run goat farm and dairy located in Keene, Ont. With a focus on freshness for all its products, Crosswind offers everything from goat milk, cheese and meat, as well as a brand new day-long cheesemaking workshop. 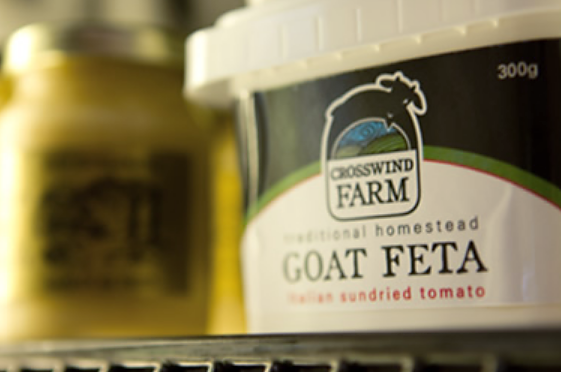 The Cross Wind cheesemaker produces two types of goat cheese – a creamy chevre and a mild feta.